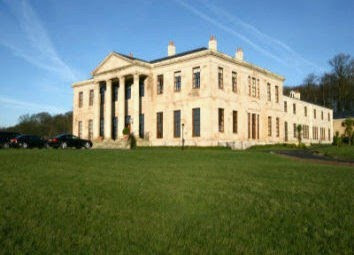 Of all the grand houses in Blackburn's affluent west end, Woodfold Hall probably ranks as the grandest. Built in 1798 for cotton magnate Henry Sudell, it soon after became the home (in 1827) of John Fowden Hindle, High Sheriff of the County, before eventually becoming the property of the Thwaites family, in 1849. Set in 400 acres of land, surrounded by a 9 feet high wall, which was 4 miles long, Woodfold Hall was a magnificent place, as you can see from the above photos. 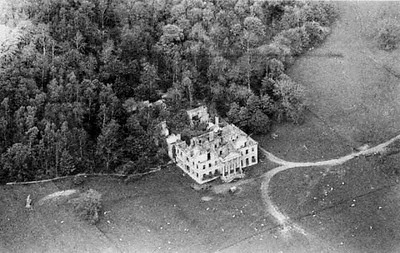 The top photo was taken sometime between the First and Second World Wars and the lower, aerial shot, sometime in the 1950's or 1960's, when the hall had fallen into disrepair. Woodfold was for many years home to Elma Yerburgh, daughter of Daniel Thwaites. Elma had taken control of the brewery's affairs, when Daniel died in 1888. She was on her honeymoon tour when she received the news of her fathers death and was aged just 24 when she became proprietor of the Thwaites empire. Elma saw the brewery through the latter part of the 19th century, the dark days of WW1, the depression of the 1920's & 1930's and through WW2. She died, aged 82 in 1946. The contents of Woodfold were auctioned off in 1949 and the roof was taken off the the hall soon after (it was a way of avoiding paying the rates and certain taxes). Derelict, it then deteriorated for the following five decades. 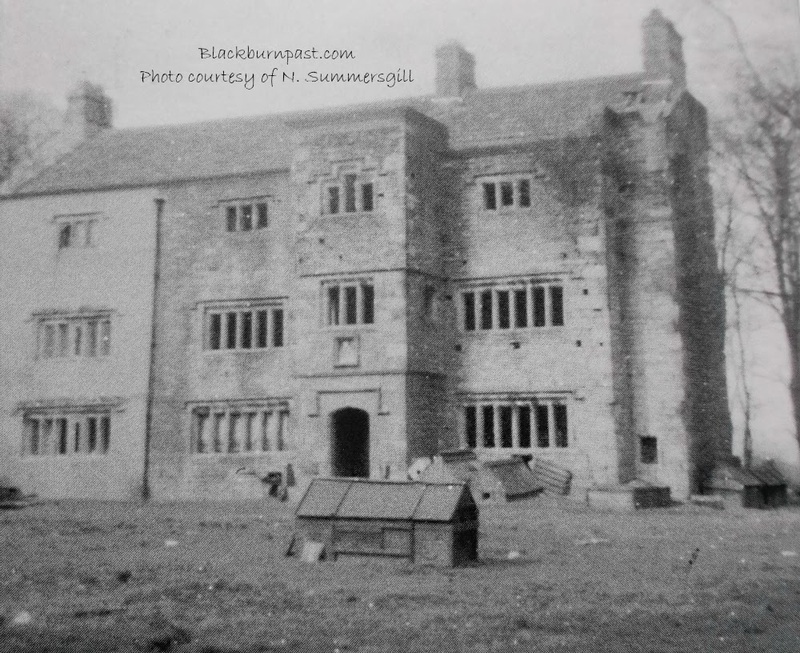 I can remember going onto the estate and into the ruined hall, with my mates when I was 11 or 12 years old (1970) and being ushered off by the warden, gamekeeper or whatever he was, as he politely told us we were trespassing on Lord Alvingham's (Elma's son Robert) land. In recent years, the shell of the hall has been completely refurbished and the hall has been turned into luxury apartments (see photo below) and from the outside, looks pretty much as it did in its prime. A 2 bed apartment, will cost you just over 500k. There's one for sale at the moment, if you're interested. BLACK & WHITE PHOTOS COURTESY OF THE LET, COTTONTOWN AND THE COMMUNITY STUDIES DEPT. BLACKBURN LIBRARY. 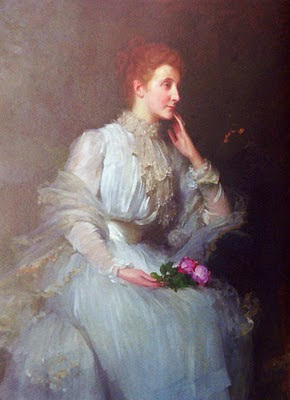 PORTRAIT OF ELMA YERBURGH, BY KIND PERMISSION AND COURTESY OF THE THWAITES ARCHIVE. COLOUR PHOTO, UNKNOWN, IT'S OFF THE ESTATE AGENTS SITE. STANLEY HOUSE PHOTO COURTESY OF NEIL SUMMERSGILL. I'm on a "Mission" now to find Woodfold Hall Colin. Am I right in assuming that if I drive up the long Driveway up to Stanley House at Mellor I will get somewhere near to it ? You will definitely get somewhere near it driving up there John, but from memory (35 years plus some), you pass through a farm or two going that way. We used to get to it by climbing over the wall on Billinge End Rd. Type it into a search engine and it should bring up the estate agent that is selling apartments at Woodfold Hall. They will give directions of how to reach it. Spent many hours as a youth in the early eighties exploring the ruins. You could get into the cellars, one of which still had huge wine racks intact. It was a very creepy place, especially at night. We would walk up from Further Lane, and in through the back way via the orangery. Only went there a couple of times myself Mr Mellor Dweller, my lasting memory is of the main staircase. Somewhere I have a 50 page list (photocopy) of the 1949 auction of the contents. Not the prices they received for any of them, just the list of the items to be auctioned. It was a 3 day auction and they were selling everything from bed linen to oil paintings. The ice house belonging the big house is still there, not far from the woodmill and all around the woodmill are enamel Thwaites signs, strangely not the red we are used to from Thwaites but blue. I am very fortunate to have a marble fireplace from Woodfold Hall. I think it dates from when the Hall was built i.e. late 18th century. Nice one. I'm pretty sure it will date from when the hall was built. Nice to see that some of it was salvaged / saved. I have one of those blue enamel Thwaites signs, I found it at the old farmhouse further up the lane from the lake years ago. I also have a copy of an old photo of the Pack Horse pub that used to stand at the bottom of the dip on Mellor Brow, and the same sign can be seen on the front of the pub. I live on the estate now in the Huntsmans Cottages and would love to see more old photos of the estate and buildings. My Grandfather was the gamekeeper at Woodfold until he shot someones dog and was" promoted" to Stud Keeper and looked after the Shires on the Estate. He took them to Preston Guild for the Show. All this is being told from memory of what my Mother related as I was growing up during and after the second world war. As I am approaching my 77th birthday the memory is also greying like the hair. They lived in Windmill Cottages for most of their time in the employ of the Estate. Did you see my message about the floor plan and more importantly, did you manage to view it on the site? Yes Colin I did see the floor plan. To anonymous on June 4th, Where is the Huntsmans Cottage located in the Estate??? Sorry but I don't have any more. Those above are from the Cottontown website (There's a link in the right hand column). Have a browse on there, there's possibly some more. The building dates from 1798. I have a copy of the floor plan in a book somewhere, shows the brewhouse and boot room towards the rear. It's probably the same plan. Nice place to visit I'll bet and good to know it is lived in again. Would it be possible to get a copy of the floor plan via the internet or would it be better by snail mail?? The book I have (that the floor plan is in), is only A5 size and the plan isn't so easy to see in detail. I don't have a scanner any more, so can't scan it. I tried taking photos of the page, but when I viewed them on my computer screen, they weren't very good. I've just had a look on Cottontown site and the same floor plan is on there. If you type Woodfold Hall into their search, it brings up 11 results. If you then click on / open the one titled 'Built To Last', the plan is towards the bottom. Right click on it and it will give you a drop down menu. Click on the top one 'View Image' and it will enlarge it for you. Once it is enlarged, then LEFT click on it and it enlarges it greatly and you can see everything in clear detail. In a book that I have, the author states that there was once a windmill in a field behind the war memorial and it is shown on Yates map of 1786. But he goes on to say that by 1800, it had been converted into a Methodist Chapel and that by 1844, it was marked as a 'ruin' on the OS map of that year. He also says that all that remains of its existence are the names of the Millstone and the Windmill public houses. The Windmill pub seems a fair bit away from where he says the windmill itself was ??? There was a water pump in Mellor Brook, which was wind driven. Maybe the pub on the corner of Branch Rd took its name from that. You're welcome Neville. I think I have a photo / postcard image of that wind driven water pump. I'll add it sometime, if I can find it. I've just had a look and the photo I mention above is already on. If you haven't seen it, just type Mellor into the search in the top left corner and it should appear, with two or three more images of Mellor / Mellor Brook. my grandad and father and family (Garnett) used to live and farm stanley house. remember my dad telling me he and his brother used to go playing in the ruins. was working in the next field yesterday repairing an agricultual old drain. Wonderful to find someone who remembers the Garnett's farm. I used to visit them when we were at WIndmill Cottages visiting my Aunt and Uncle who lived at the cottage tight next to the Sumner's Garage, wagon builders and The Smithy. Jim Sumner and his wife Elizabeth were my God parents and are listed on my Christening Certificate. My Mom, May (Singleton) Pearson and her older sister Elizabeth were born at 22 Church Lane in Mellor. at the end of the 19th Century to a Farm Laborer who eventually became the Game Keeper at Woodfold estate, then moved on to be the caretaker of the Shire Horses and the stud farm, showing them off at Preston Guild etc. He took the stallion round to the farmers to breed their mares and would, on the stallions leisure time plough their plots for the gardens etc. I can remember being kicked by one of the horses in the stable, hurt like the dickens. We used to walk up through the fields from the Windmill and their was a copse of trees on a hill and there were always rabbits there until the outbreak of Mixamotosis which devastated the rabbit population of England just after the end of WW II. I recall going out (helping ??) the boys clear the ditches and cut down the hedges with Bill Hooks, that's really dating me. Mr Garnett delivered milk in town and he took me along as a helper on numerous occasions. If we were out in the fields Mrs. Garnett would bring us Sandwiches and Tea, tasted real good. My Mum worked as the Gardner's helper and won a prize at the Blackburn Horticultural Society when she was "just a young whipper snapper from Woodfold" she mentioned over a hundred blooms on the winning plant. There must be a record of that somewhere in Blackburn. embroider and tool leather which she taught me as a youngster. She got married in1930 and moved to Newton-le-Willows as my Dad got a job at McQuorcordales printers having left the Blackburn Times. I have an old photo of Stanley House somewhere (just the house). I'll upload it sometime, if I can remember. 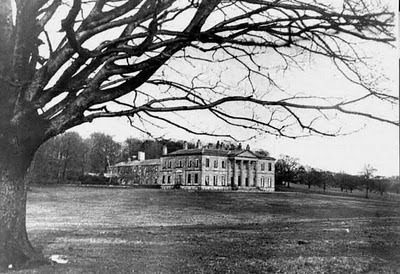 When we were kids, if we approached Woodfold Hall from the Mellor side rather than the Billinge side (which was our normal route), we used to pass through a farmyard which was sort of where the Stanly Hs Hotel is now. I've often wondered in later years if it was Stanley House / farm that we passed through. I'm going back 45 years to when I was 10 or thereabouts, so the memory is vague. It probably was thinking about it, or another farm very close by. im sure it would have been stanley house. my dad was telling me tonight that in the woods somewhere across from Woodfold Hall there was an old saw mill with a steam engine powered . the mill used to make all the gates fence posts other wooded items etc for the whole estate. If you know Billinge End Road at all David, it is over the wall on right hand side (right hand side if you are heading for Alum Scar from Preston New Rd). One of the original gatehouses is still there, just before you get to the sharp, left hand bend that takes you through to Pleasington. I think the people that have apartments in it now, access it from the other side. Left down the turning further along Preston New Rd, the one that takes you to Stanley House and there's some controlled gates, in a corner / bend, a few hundred yards down that lane.